DDW1802EBLS	This product is no longer available. Washing dishes is a chore most people would rather do without. However, this esteemed dishwasher by Danby makes it an effortless task. The elegant appliance comes in a striking black and stainless-steel design which allows it to easily fit in with any type of kitchen décor. 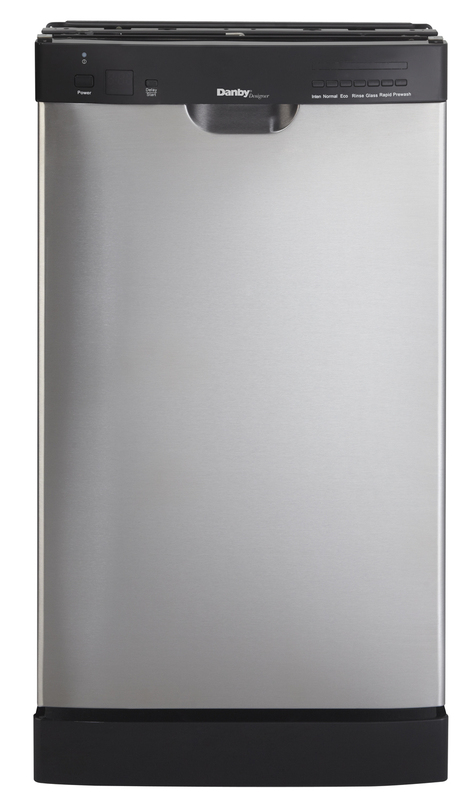 This dependable and efficient unit features an eight place setting capacity and at just 18-inches wide (45.7 cm) takes up minimal space in your home. 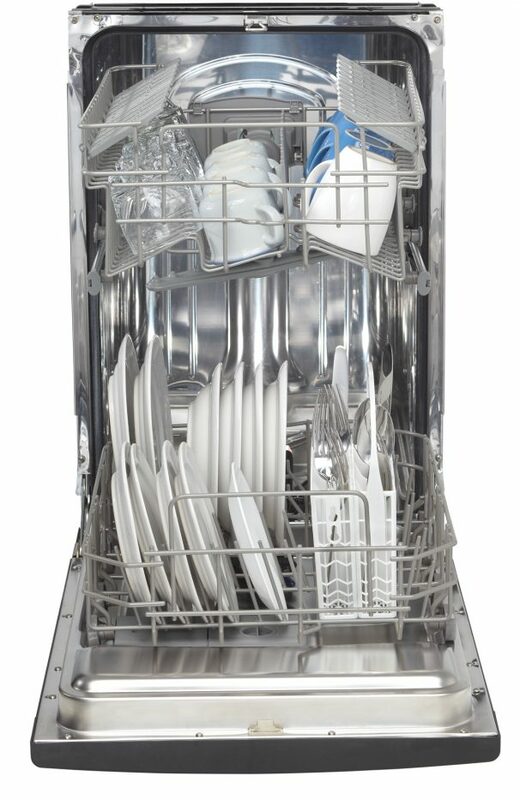 This model features a handy silverware basket and has seven separate wash cycles. It’s also designed to help cut down on your power bills due to the valuable Energy Star rating. 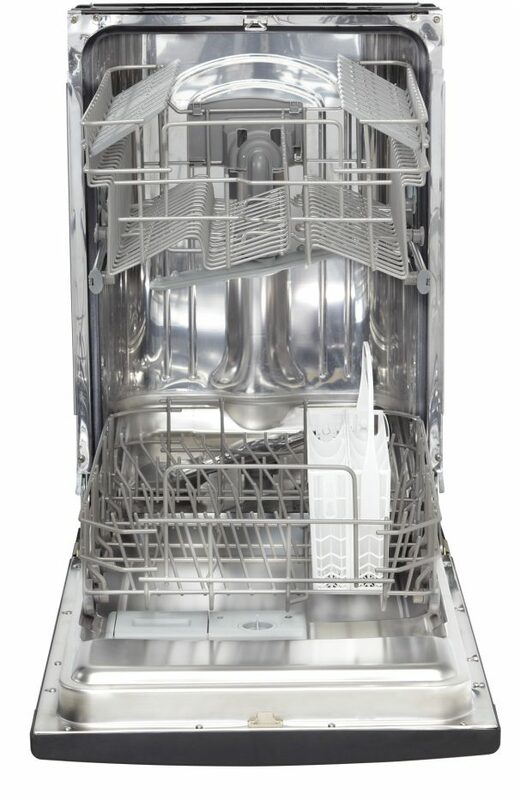 The interior consists of a durable stainless-steel spray arm and it features a convenient rinse-agent dispenser along with an automatic detergent dispenser. In addition, this popular model features an 18-month warranty on parts and labor with handy in-home service.